Getting temperature fluctuations under control can get you annual energy savings of up to 15%. In many buildings, temperature fluctuations (and subsequent energy bills) are due to sunlight streaming through office windows. Too much sun and things heat up. But when the sun shifts or goes down, so does the temperature. The U.S. Department of Energy estimates that one-third of a building’s cooling load is from solar heat gain through windows, and nearly 75% of existing windows are not energy efficient. One easy, and cost effective way to keep the temperatures in your building as constant as possible is with LLumar energy-saving window film. When you’re deciding between window replacement or installing energy-saving window film on existing windows in a commercial building, a number of factors may affect the choice you make. By controlling the sun, LLumar window film reduces heat build-up and cuts distracting glare in buildings —to keep tenants happy. And can help lower energy costs – to keep you happy. Contact us today to get a free estimate. Looking to protect your vehicle with Paint Protection Film? Sunray Tint is a proud installer of LLumar Paint Protection Film. Call us today at 817-337-4500 for your FREE no obligation estimate. Feel free to stop by our Keller, TX Tint location at 1495 S MAIN ST. SUITE 103, KELLER, TX 76248. Let The Professionals at Sunray Tint Install Auto Tint For Your Vehicle. It might be tempting to tint your car windows by using a DIY kit, but the benefits of hiring an auto tinting pro outweigh any savings. Tinting your car’s windows is a great way to reduce glare and heat as well as enhance privacy. Consumers typically have two options for tinting their cars windows: Do it themselves with a DIY window-tinting kit or hire a professional. Although a DIY window tint is generally less costly, it definitely pays dividends to invest in professional installation. Because dark windows are a safety concern for law enforcement officers when they’re making a traffic stop, many cities and states have specific limits on how dark you can tint your windows. Most professional window tinting companies make it their business to say up to date on window tint regulations. While some shops may provide darker-than-legal tint, most shops make sure their customers stay on the right side of the law. DIY kits can’t claim such an assurance. The experts at Sunray Tint have been tinting vehicles since 1983 and stay updated on the latest tint regulations in Texas. We invite you to discuss any tint regulation concerns with a member of the Sunray Tint Staff. Unless you’re purchasing a more expensive professional-grade tint kit, you’ll likely find the film in a DIY window tint kit is flimsy and temperamental when compared to the higher quality materials a window tinting pro would use. For a first-timer, window film in general is hard to work with; a slight breeze or wind can cause creases or crinkles, and some may find it hard to keep dust or other debris from sticking to the film. An experienced professional will use a higher grade film and ensure that it’s applied without creases, crinkles, air bubbles or debris. At Sunray Tint we believe in using only the finest quality and industry leading materials from such reputable manufacturers as Llumar and Huper Optik. 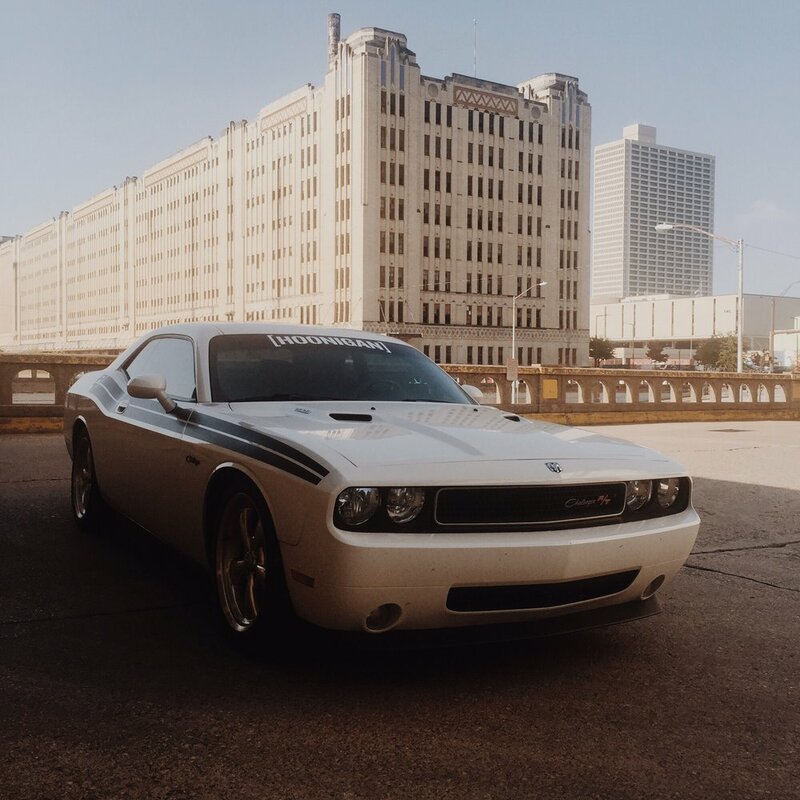 Our team of expert installers have installed tint in Texas on thousands of vehicles from antique classic cars to luxury cars, and the latest vehicles from auto manufacturers. Even if you successfully apply window tint film to your vehicle’s windows, you may not do so perfectly. So try again, right? Not quite. Removing window film is much more difficult than applying it, due in part to the sticky adhesive used to apply it to the auto glass. Removing old window film can be a challenge and must also be done correctly to avoid damaging defroster lines and the window itself. It’s one of the reasons we recommend your old tint to be removed properly by our tint experts at Sunray. If a professional window tinting company does a bad job, car owners can always demand re-tinting or they can try to get their money back. If and when you make a mistake while tinting you own windows, however, you probably won’t be able redo the tinting without buying another kit. Once window tinting film has been applied to a window, it cannot be taken off and simply returned to the store. As a leading installer of window film in North Texas since 1983, we take great pride in our work and make sure every customers leaves with a great experience. Our tint products also come with a factory warranty that a member of the Sunray Staff will educate you on. 5. How much does it cost to tint car windows? DIY kits are most frequently used as a way of saving money. However, low-grade window tinting film does not always provide good results for the car. For example, one of the main reasons car owners are interested in window tinting is that they want to protect their car’s interior from fading and cracking. Cheap or low-quality window tinting, though, does not always provide this protection. At best, car owners may get a little extra shade inside their cars, but they will not be able to protect their car over the long run from the harmful effects of the sun. For this reason, it makes sense to invest a little bit more money into a mid-grade or high-grade window tint installed by a professional. The cost to tint all of a car’s windows can vary in price due to the size of the vehicle. Contact us today to get a free estimate for your vehicle. Sunray Tint Gift Certificates Now Available! Sunray Tint is proud to offer Gift Certificates available online that can be redeemed for Auto Tint, Residential or Commercial Tint. Give the gift of Sunray Tint for your loved ones, upcoming holidays, or a family or friends new car. Dusty Wallace Insurance a local auto insurance company in Keller, TX has named Sunray Tint as their “Business Of The Week”. Sunray Tint has been a pioneer of the auto tint industry in Fort Worth, Texas since 1983 and is a firm believer in supporting the growth of not only the Keller, Southlake, Fort Worth Community but also other local businesses as well. We thank Dusty Wallace Insurance for naming us their “Business Of The Week”. This year I’m thankful for window film. There are several reasons why I’m thankful for window film, and you should be too. At Sunray Tint are team of expert installers have worked with thousands of luxury and class vehicles, as well as home tinting and commercial building tinting projects. Not only with a paramount attention to detail but we also believe in only using the finest quality films. If you live in Texas, you probably know how much damage the sun can do to your interior. Even if you store your pride and joy in a garage most of the time, the summer shows and cruises, and trips to the beach or a car club barbecue party can still wreak havoc on your upholstery. Car show season lasts a little bit longer in Texas, but no matter where you live the sun can be your interior’s biggest enemy. Car covers protect your car at home, but during car show season cars will sit out in the sun for hours on end. Only the lucky few find the shade of a tree – even then it’s only for a short while before the sun shifts. If you drive your classic car often, there’s another solution to protect your interior: window tinting. Just like there are various levels of performance for automotive parts like intakes, carburetors, and tires there are also various levels of performance for window tinting and various price points for both the film and the installation. We’ve all heard the saying, “you get what you pay for” and that mantra holds true for window tint film just like anything else we install on our car. Likewise, just as there are shops that have expert installers and other shops that probably shouldn’t be working on cars, the same falls true for window tinting. At Sunray Tint are team of expert installers have worked with thousands of luxury and class vehicles. Not only with a paramount attention to detail but we also believe in only using the finest quality films. Stop by today or give us a call to discuss your classic car tint options! There are many benefits of high quality commercial window tinting for properties and buildings. Window tinting can reduce up to 85% of the heat from the sun, and give 99% rejection of ultraviolet light and reduce 95% of the glare. Window tinting films also offer complete privacy during the day. Films come in varying degrees of light transmission so you can pick the window film that best meets your individual needs. By window tinting your office you can also enjoy up to 15 degrees of saved temperature from the film itself which translates into energy cost savings on air conditioning. Facilities of any size will save money by maintaining a consistent balanced climate. Businesses will see an immediate return on any window tinting investment when commercial films are installed by lowering the energy and operating costs every month. Any sunlit environment is subject to problems like hotspots, glare, heat and fluctuating temperature. We know that it is important to keep employees, clients, guests and shoppers comfortable. Commercial window tinting films screen out significant amounts of uv rays, heat and glare from entering your work environment, softening the light, balancing the temperature and maintaining a comfortable work environment all year-round. Protect the valuable contents of your building with window tinting. Interior space can experience damaging and harmful effects of solar heat and uv rays from the sun, such as fading of merchandise, furniture, carpet, draperies and equipment. Window films can reject up to 99% of destructive uv light and solar heat, so it protects your investments so they last longer turning saved dollars into profits. The glass and windows may be the one of the most vulnerable parts or your building. Safety in the workplace should always be top priority, and commercial window films are available in a thick, security window film versions, which helps hold window glass in place if shattered. This feature can reduce the chances of burglary, property damage and even personal injury. People will judge you by your professional appearance. Make the best impression with decorative window films on your building or in your office. Commercial window films today offer a large selection of styles and designs to suit almost any environment.